At the end of a year, it's common to tally up milestones -- and remember all the people who passed away. 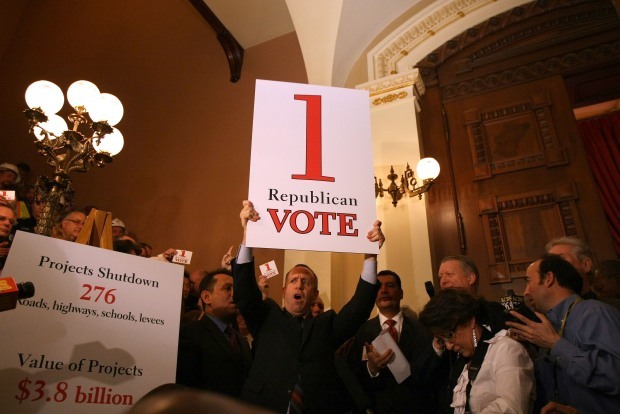 In that tradition, here are the five biggest things that died in California politics and government in 2011. And one that lived. 5. Faith in redistricting reform. Republicans, who had championed the establishment of a citizens' redistricting commission, finished the year pursuing legal and politicla challenges to the process -- and demanding investigaitons in the wake of a ProPublica report. Democrats never really bought into the process either, and tried aggressively to influence it. And the notion that redistricting will change politics somehow remains alive only in the minds of that most stubborn of species, the newspaper editor. It appears that even moderate reformers have awakened to the reality that redistricting reform doens't change reality. Now, how long until reformers seek reforms that will make a difference? 4. 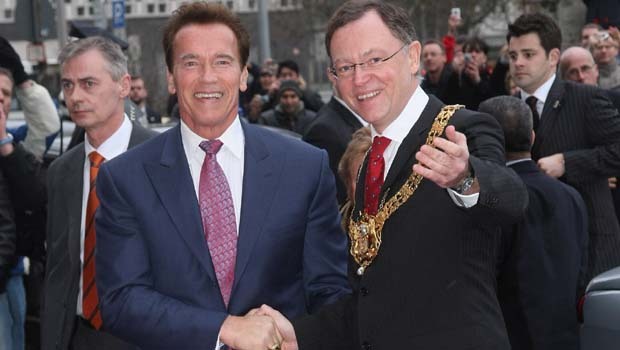 The Schwarzenegger-Shriver marriage. This union was central to California politics for seven years -- and it quickly fell apart after the revelation that the former Gov. Arnold Schwarzenegger had had a child out of wedlock with the family housekeeper 14 years earlier. Schwarzenegger was unpopular as he left office, but this scandal -- almost certainly a career-ender politics wise -- was still a loss for Republicans, who have no one else electable statewide. 2. The idea that Gov. Jerry Brown could convince Republicans to support a vote on taxes. Brown had a mystical faith in his own negotiating abilities, and wasted much of the year -- and his entire political honeymoon -- pursuing Republicans who were never going to support anything related to taxes. Brown seemed surprised by this turn of events, despite many voices (including that of this blogger) explaining that he was wasting his time. 1. High-speed rail. Still not technically dead. But the plan to build a high-speed rail system is a zombie, without funds, public support, or a route that makes any sense. So what lived? Steve Jobs. Yes, he died. But his products, ideas, and iconography live on.